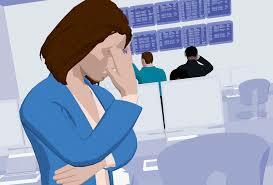 What to Do when your Employer pays too Late? Everyone likes to receive their salary on time. If your contract states that it is going to be deposited into your account every twenty eighth of the month, then you expect that to happen. And for obvious reasons: you have pay for bills, insurance and for food on the table. 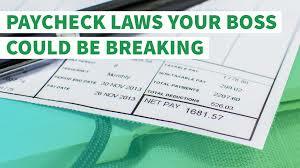 But what can you do if your employer is not taking any payment agreements very seriously? If your salary comes in later than usual, it can be very annoying. What can you do about it? Is that even allowed? Is wage often paid too late? In western countries, the law stipulates ( and labour contracts should reflect this) that the wage is due at the end of the period over which the wage must be paid. This period is usually four weeks or a month, but it should not be set at more than a month. 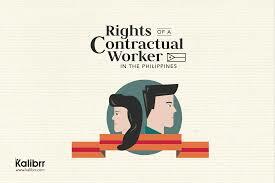 Subsequently, the employment contract or use within the company determines the pay day. This can be around the 28th of the month or on the last day of the month, for example. The law then stipulates that the wage must be paid no later than a certain period after this day, which differs country by country, on which payment is normally made. In a western country like the Netherlands you are entitled to an increase in salary for delay. This amounts to 5 percent per day for the fourth to the eighth working day after the due date and one per cent for each working day of delay after. 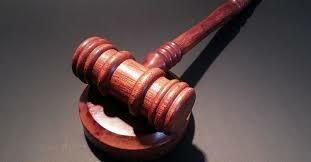 An employer could therefore be liable to pay an extra 50 percent of the wage. 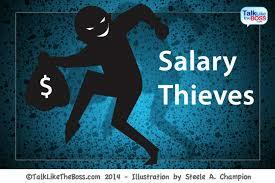 Moreover, an employer who pays too late will owe statutory interest on the wage. Unfortunately I am not in the know about the rest of the world, so you would need to find out what the law says for your country. I do know that many countries have laws for late payment by employers. Can you go to court? yes, you can but do this with caution. If your employer always pays too late and this does not change despite your written requests, you can claim the legal interest and statutory increase over the late-paid salaries in court. The latter will then quickly assign the claim, but may limit the percentage of the statutory increase accordingly, depending on the circumstances. In doing this you will need to prepare for the consequences, because you might end up getting paid (and rightly so), but be left with a fully distorted working relationship with your boss. An angry employer is the last thing you want, be prepared to leave this company and maybe leave the corporate jungle totally. See my recommendation below. Is it wise to exercise that right? That depends very much on why your employer pays later than usual. When a company has liquidity problems, employees usually understand where the late payment comes from. A delay of a few days is not immediately used for a legal argument. 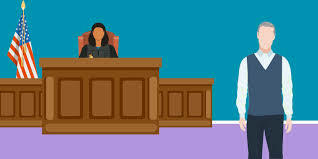 The situation is different if the employer does not pay the wages because he believes that the employee is not entitled to wages, for example for summary dismissal. 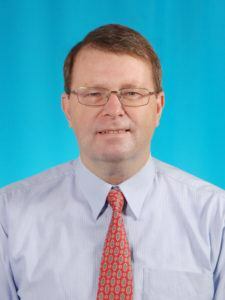 A dispute about the level of the wages can also be a reason for this. These are the things you see in court. Should it subsequently determine that the employee was right, he or she will usually grant a statutory increase. But be prepared to have to leave the company afterwards. If an employer pays structurally too late, it is advisable to talk about this. There is a right to timely payment, just as you as an employee must deliver your work in time. Whether you should always bring everything to a conflict is the question. This should usually be limited to cases where there is disagreement about the entitlement to pay, or when, after consultation, structural late payment continues. There are plenty of legal options that protect the employee in these cases, but it also pays to keep your employment relationship well. For that reason you often see that when an employer is in financial need, the employer and the employee try to resolve the payment dispute in good consultation. After all, they both have an interest in this. 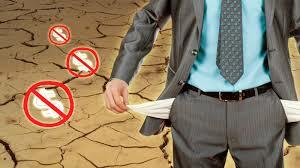 In extreme need this situation can lead to payment default or bankruptcy. If your employer pays too late, do not get into a frenzie over it and the damage is usually too small to start a procedure. If it concerns a one-off error, you can allow it. Is it a temporary situation? Then you can reach an amicable agreement with your colleagues in which payment modalities, a compensation scheme and guarantees are worked out. But if your employer stubbornly persists and systematically pays your wages too late or does not handle in accordance with with agreements, then there is a serious problem one way or the other. There can be social inspectors who can investigate the situation. If they hit irregularities then they can and will write a fine. In the case of gross negligence, you can even take your employer to court, but then you have to put together a solid case and stand firmly in your shoes. This does not happen very often in practice. Moreover, a lawsuit is not dealt with in three seconds. In any case, it is worthwhile to find out why your wages – perhaps suddenly – are paid so late. It may be that the company is in a bad period or that it is more permanent and a bankruptcy is imminent. Do dark clouds threaten? Then looking for another job is one of the options. If a company is paying late in a consisting way, there usually is something bigger at the background and yes, looking for other work is an option. However, nowadays there are better options than to continue working for a boss your whole life. The internet, which is growing exponentially, offers almost unlimited options to make money and indeed to start your own business. Being your own boss has now become a far more feasible opportunity for all of us than ever before and yes you too can become an internet entrepreneur. Late 2014 I started building my own websites from scratch, but with the right support. I happened to find the probably best internet business support program in the world called Wealthy Affiliate (WA), an organisation already existing since 2005, it is scam free, reasonably priced and with world class training and support. In short, I became an affiliate marketer and I hope and expect to be doing this for the next 20 years or so (I am just 63 right now). For those of you who are interested in this unique and maybe once in a life time opportunity, I have put together a full review of WA’s workings, features, community, expertise. You can read the review by clicking here. If you have any comments, questions, please leave them in the comment boxes below and I will react within 24 hours. Very interesting topic what to do when your employer pays you late. I had this problem years back but they always ended up paying even though my monthly pay was a week overdue. If you had to take an Employer to court for non-salary payments, how long would it be before you actually be able to see a judge? I guess that would depend on which country you live in. In the Netherlands it could be a matter of weeks. I have also experienced this myself due to liquidity problems of the company. After I found my way out it took 9 months to receive my balance payment. Two years later the company was declared bankrupt. Previous PostPrevious Is adding your Boss on Facebook ok?